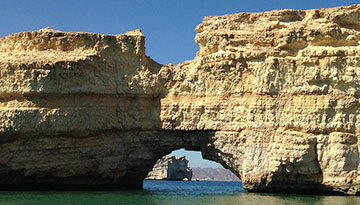 Oman is the toe of the Middle Eastern 'Boot', and Muscat, its capital, is at the tip. As the Arabian sea laps at it's shores, the Muscatine coast offers the pleasant and refreshing presence of cool water in an unforgivingly hot and dry part of the world. While the area dates back to ancient times, the city is now a well-established and modern metropolis with an impressive skyline and plenty to explore beneath it. Beautiful mosques, plentiful museums, and crumbling forts all interject the gleaming and towering landscape of Muscat; which despite it's contemporary nature, has retained it's low slung, white, middle eastern appearance when viewed from one of the choice looking points that surround the centre. For a day of luxury and leisure, soak in the radiant sunshine from one of the silvery beaches and go on to the marvellous Royal Opera House as the sun sets. On your way, be sure to stop of at one of Muscat's many gourmet restaurants, such as the Grand Lounge, and dig in to a fine middle eastern grill up, or a western dish done just as well. 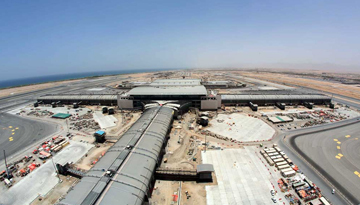 Lufthansa Airlines offers discounted flight tickets to Muscat just at £351 round trip. 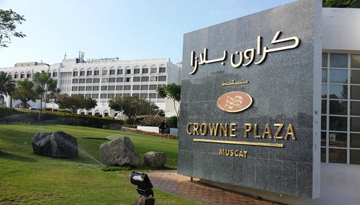 Rooms at Crowne Hotel Muscat are luxurious base & allowing guests easy access to popular sights. Fly from Birmingham - Muscat & Stay for 7 nights with 5 star accommodation. Room Only.